Tip: Don't mow all the way to a shoreline or streambank. 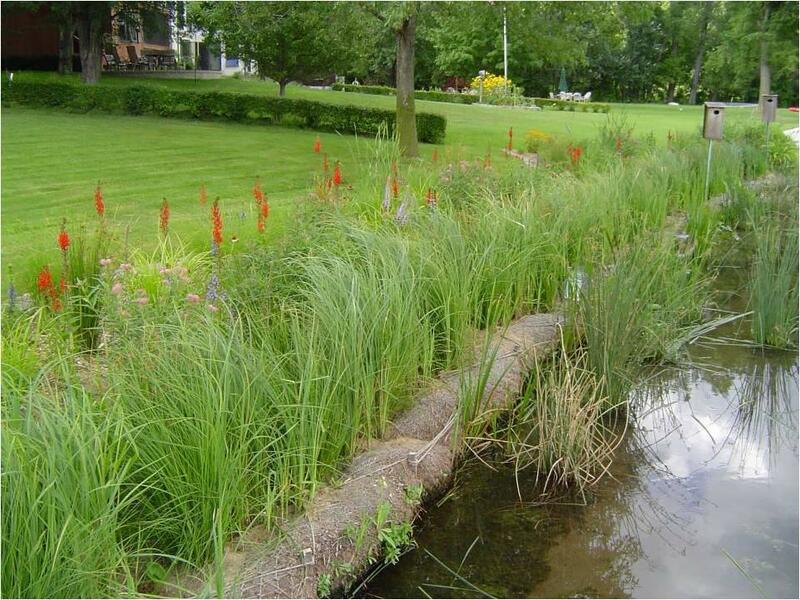 Leave a 10-foot wide buffer of vegetation to catch runoff. (Learn more about this clean water tip). Minnesota is famous for its clean water, abundance of lakes, and friendly citizens. The Minnehaha Creek Watershed District is a resource for protecting these assets. For more information on these programs, contact our Education and Engagement Coordinator. Click here to download a fact sheet about the program. Minnehaha Creek Watershed District is a partner in Northland NEMO and the National NEMO Network. The Master Water Stewards program began as a partnership between the Freshwater Society and the Minnehaha Creek Watershed District, with funding provided by the Clean Water Land and Legacy Amendment. Currently (run by Freshwater Society), the program works to recruit, inspire and train citizen volunteers who work in their own communities to organize and build projects to keep storm water and the pollutants carried by storm water from flowing into lakes and streams. Stewards receive intensive training on how to protect the lakes and streams from pollution in their neighborhood, in addition to community engagement.